German mezzosoprano Jenni Reineke (1986) studies solo singing with Prof. Gerhild Romberger at the College of Music Detmold, Germany. Since many years, she has focused on choir singing, starting with her studies of piano and singing education (diplomas in 2010 and 2012). Her activities led her to many European countries: being a member of the Chamber Choir of the College of Music Detmold, she won prizes in several competitions (Athens/Greece 2008, Trnava/Slovaky 2009, Mosbach/Germany) and participated in festivals like Europa Cantat (Germany, Italy) and chor.com (Germany). Concert tours led her to Spain, Italy, the Czech Republic, England and all over Germany. After her participation in the Tenso summer school 2013 she was also an attendee of the dutch program Meesters en Gezellen. Twice she was a scholar of the College foundation Detmold with her vocal ensemble addlipps! and participated in masterclasses with The Real Group (Sweden) and Voces8 (England). She worked with conductors like Anne Kohler, Fritz ter Wey, Robert Sund, Frieder Bernius, Wolfgang Schäfer and Kaspars Putnins. 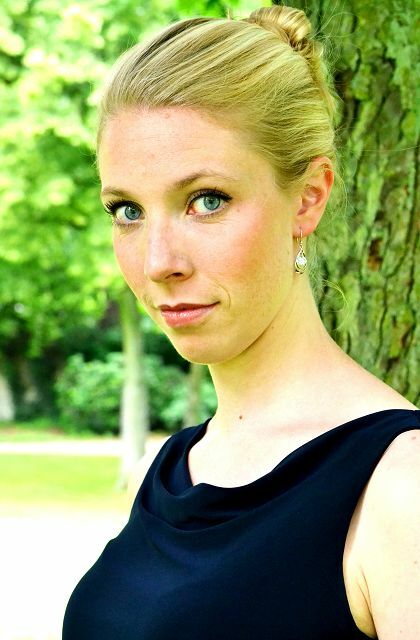 Masterclasses with Klesie Kelly, Ralf Gothoni and Axel Bauni enrich Jenni’s singing studies. In January 2015 she will perform the role of Nancy in Flotow’s Martha and is engaged as a soloist at the Theatre of Detmold for the upcoming season.